Tram Sparks is Associate Professor of Practice at the USC Thornton School of Music. 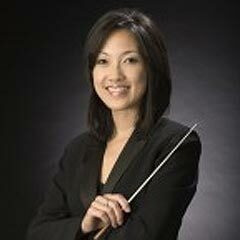 Prior to her work in Los Angeles, Sparks was Associate Professor and Associate Director of Choral Activities at Temple University Boyer College of Music & Dance, where she taught from 1999-2009. Dr. Sparks taught graduate and undergraduate courses in choral literature, conducting, and aural theory, and conducted the Concert Choir, University Chorale, Women’s Chorus and University Singers over the course of her ten years at Temple University. In addition to her appointment at Temple, she has served as Visiting Assistant Professor of Music at Dordt College (Sioux Center, Iowa) and Director of the Choral Program at St. Joseph’s University (Philadelphia, Pennsylvania). A native of Vietnam and a child refugee of the Vietnam War, Sparks’s earliest musical training was in Okinawa, Japan and subsequently, at the San Francisco Conservatory of Music, Pre-College Division, where her studies included lessons in piano, solfege, eurythmics, and choral music (singing in a children’s choir). Sparks earned the Bachelor of Music in Piano Performance and the Master of Music in Choral Conducting from Temple University. Her piano training, with the late Harvey Wedeen and David L. Stone, follows in the pedagogical lineages of Adele Marcus, Isabelle Vengerova, Josef Lhevinne, and Nicholas Slonimsky. Sparks holds a Doctor of Musical Arts in Choral Conducting from Yale University. While at Yale, she completed certificate program studies in Music, Worship and the Arts at the Yale Institute of Sacred Music, and thereafter, served as music director in various churches and synagogues in Philadelphia and Los Angeles. Sparks’s research interests center around two areas and the subtle interplay between them – conducting technique rooted in modern dance theory and movement analysis; and a contextual understanding of cheironomy, its forms and functions, in contemporaneous early communities of worship.